I’ve worked with hundreds of different celebrants over my years as a wedding photographer. I think I have a pretty good idea of what I think is the ideal wedding celebrant! Obviously not all celebrants will fit this ideal celebrant mould, and perhaps you don’t even want them to. Everyone celebrant has their own style and I wouldn’t want people to change just because of me. Having said this, I put this post together just to give you some ideas. You can pick and choose from what you think is important to you, or ignore everything if you prefer – it’s your day after all! Before every wedding I introduce myself to the wedding celebrant and politely request that at certain important moments (particularly the exchange of rings and first kiss), they move far enough to one side. Whether they do it or not though is another story! 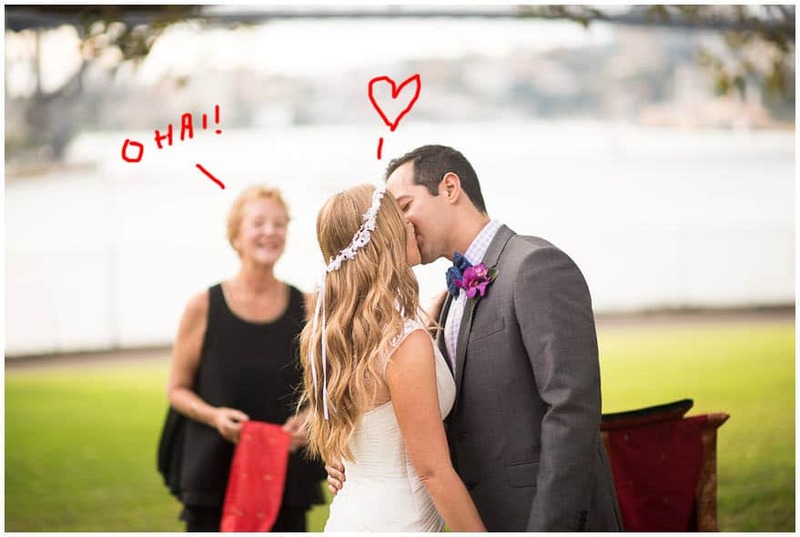 It’d really help if when you speak to your celebrant, you make it clear that you’d like a photo of the first kiss (at least), without their pretty face in the background! This means that they’ll need to move to one side at least 2 metres, or as far as possible. How long is too long? I’m not sure, but when I start to see your guests squirming, it’s a good sign! Sometimes the celebrant’s story about marriage and love can go on a bit. A recent one went on for over 15 minutes, which in my opinion is rather lengthy. This is just personal preference, but I think that succinct celebrants keep the wedding ceremony flowing well and make the event about the bride and groom, and not about the celebrant’s story. Again, this is completely personal preference, but I just think iPads and looks a bit naff in photos, especially if your wedding has a rustic or vintage element to it. Just ask them to use paper, or a nice clipboard to hide their beloved iPad, perhaps! I know the celebrant needs to do their job, and sometimes they may not want to do it any different way, and as the photographer, I’m totally cool with that! 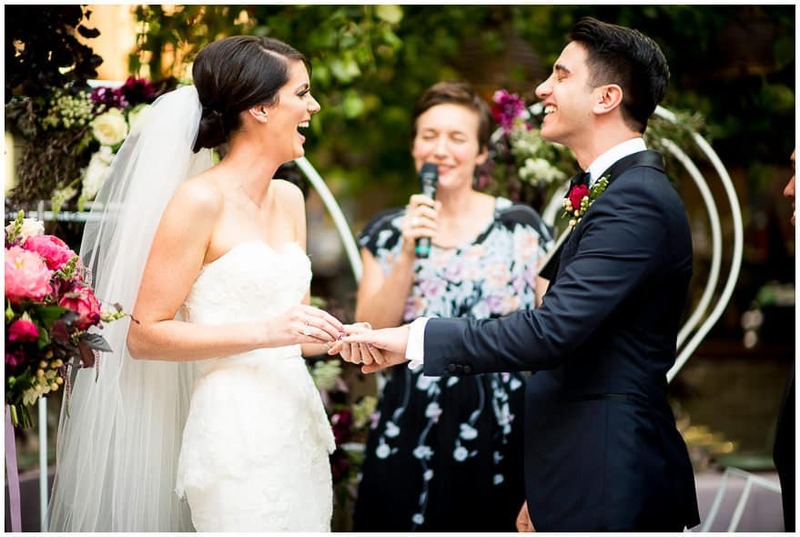 At least now when you meet your celebrant for the first time, you’ll hopefully have some ideas of what to ask him/her and what’s important to you.